Over the past three Sundays in the Latin rite of the Catholic Church, we have been hearing about the Kingdom of Heaven parables in the Gospel of St. Matthew. Although there are parables with this same motif in the other Gospels, we see St. Matthew focusing on the Kingdom of Heaven because he is trying to prove to his audience, Jewish Christians (those who were either converting to Christianity or those who had already converted), that Jesus Christ is the fulfillment of the Davidic and Solomonic Kingdom. St. Matthew along with the other Gospel writers tells us in their accounts that the Kingdom of God is going to be much different than what they were actually expecting. Most Jews believed that the Messiah would return to reestablish the kingdom that David built, including the reestablishment of the Temple, which Solomon had built. Even in Acts of the Apostles 1:6, the Apostles ask Jesus the question, “Lord, will you at this time restore the kingdom to Israel?” – they were speaking about the Davidic kingdom. Although we learn about the Kingdom of Heaven from the Sacred Scriptures, as Catholics, we also look at what Sacred Tradition tells us. 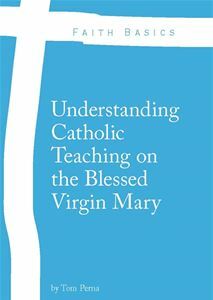 The Catechism of the Catholic Church is a resource that every Catholic Christian should possess. If you don’t own your copy, I would suggest purchasing one as soon as possible. We give them to all our RCIA candidates and catechumens. CCC 567: The Kingdom of heaven was inaugurated on earth by Christ. “This kingdom shone out before men in the word, in the works, and in the presence of Christ” (Lumen Gentium 5). The Church is the seed and beginning of this kingdom. Her keys are entrusted to Peter. Jesus invitation to enter his kingdom comes in the forms of parables, a characteristic feature of his teaching. Through his parables he invites people to the feast of the kingdom, but he also asks for a radical choice: to gain the kingdom, one must give everything. Words are not enough; deeds are required. The parables are like mirrors for man: will he be hard soil or good earth for the world? What use has he made of the talents he has received? Jesus and the presence of the kingdom in this world are secretly at the heart of the parables. One must enter the kingdom, that is, become a disciple of Christ, in order to “know the secrets of the kingdom of heaven.” For those who stay, “outside,” everything remains enigmatic. I will like to know how I can get to read the CCC. It is a great book but seems very big and complex to start reading from page to the end. So I will be glad if you could write a post on how to go about reading the CCC.Thank you. I will work on this soon. Thanks for the feedback.